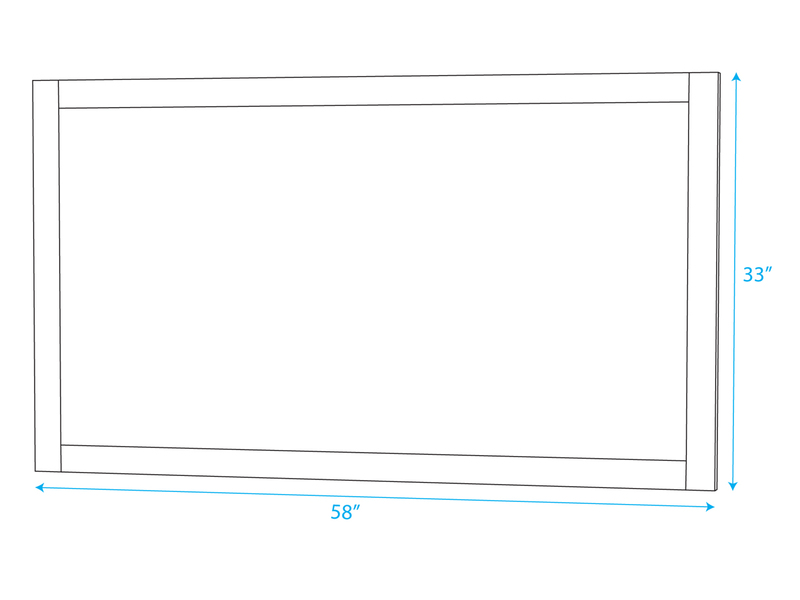 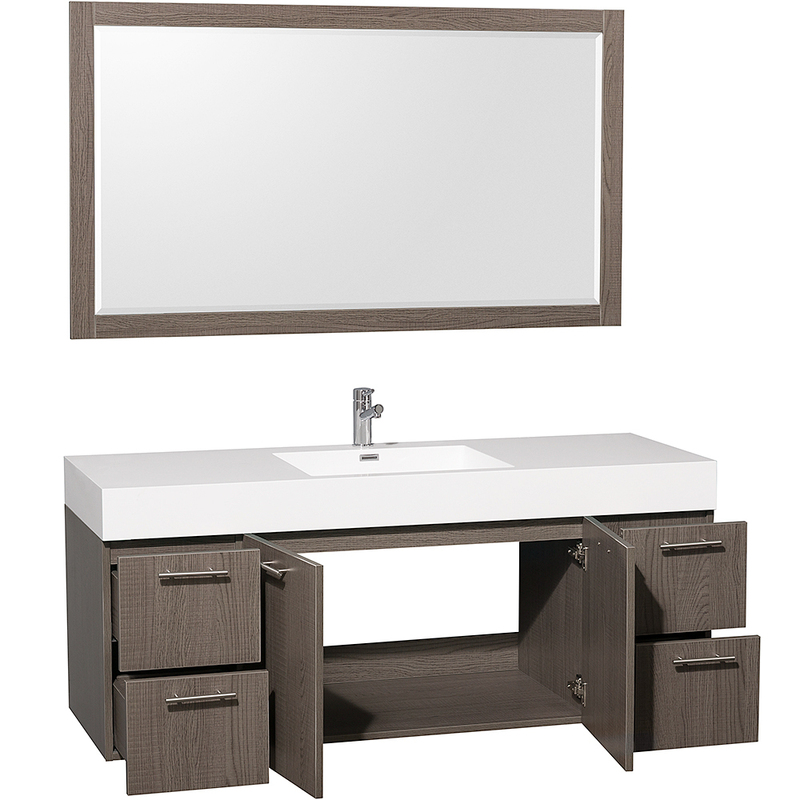 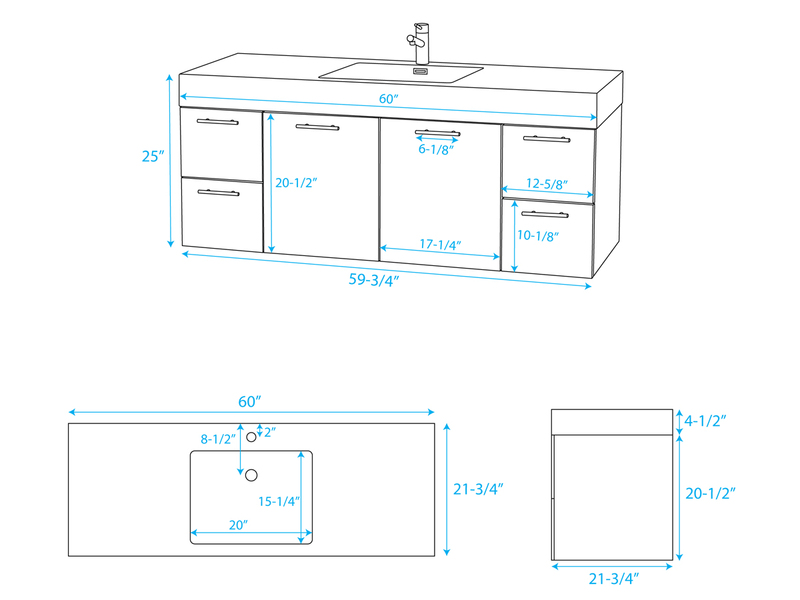 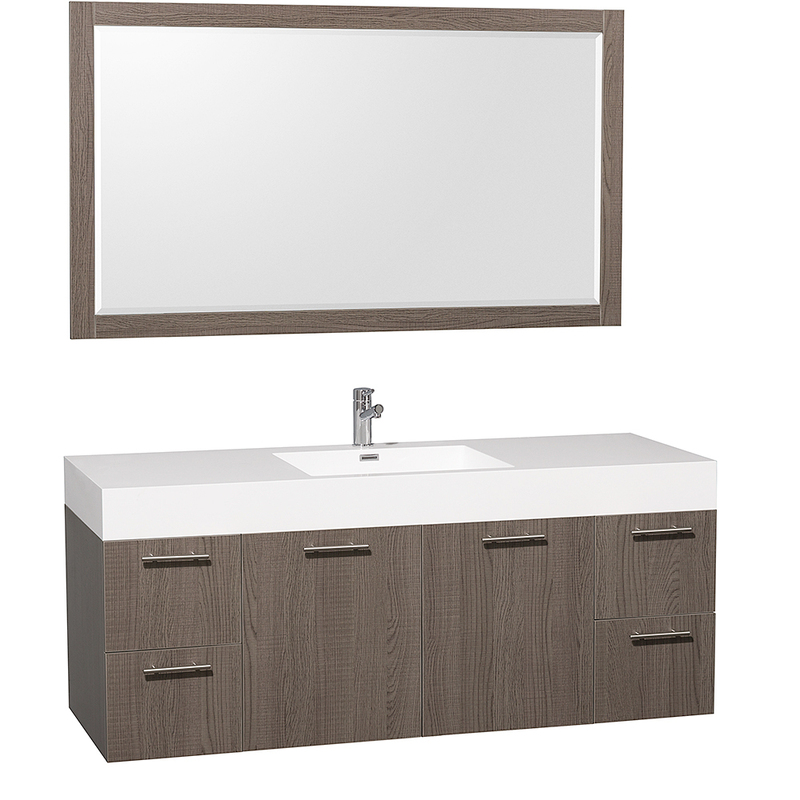 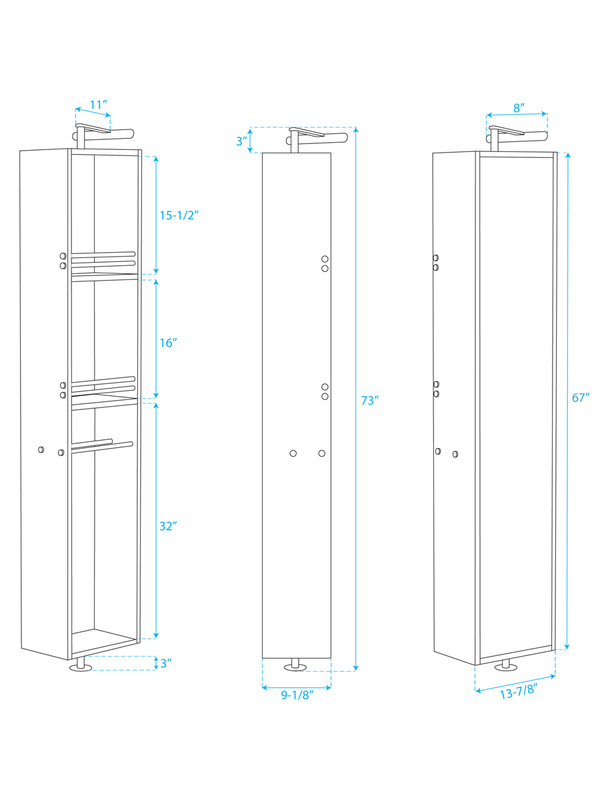 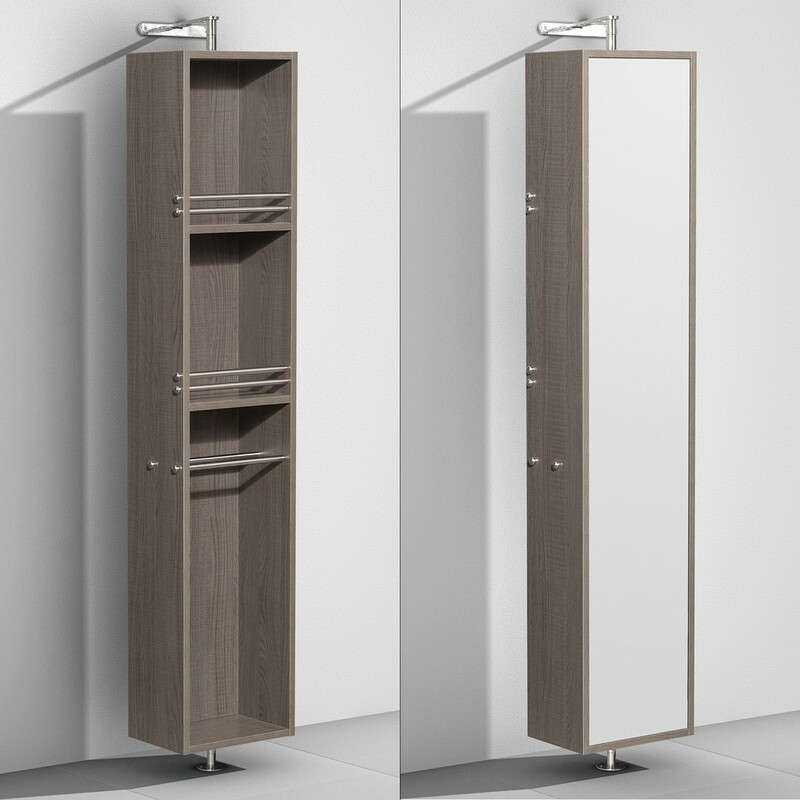 The 60" Amare Single Vanity can easily assimilate into any bathroom, while completely transforming its entire atmosphere! 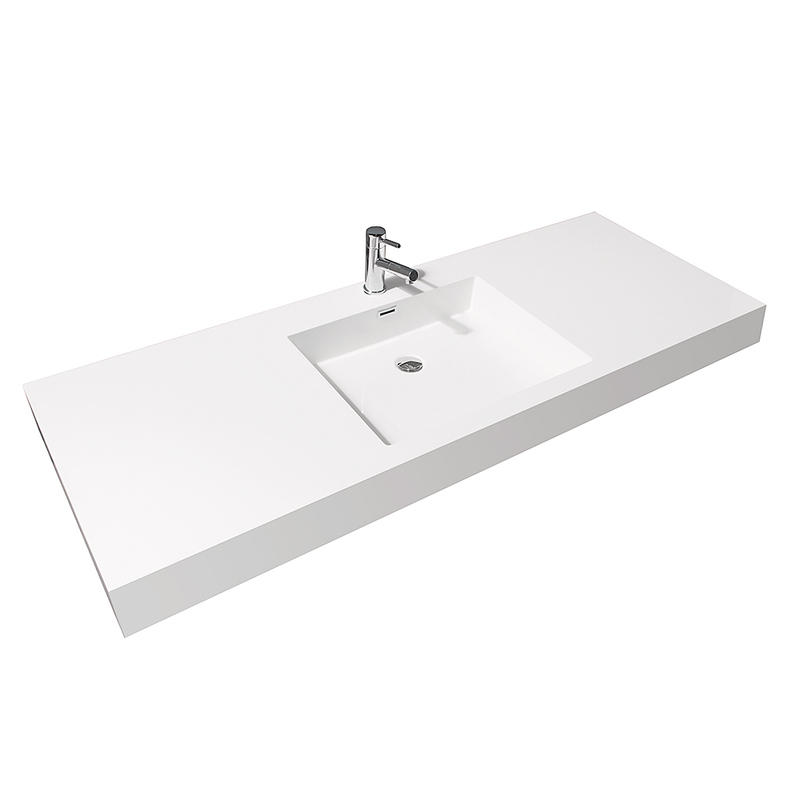 Featuring a beautiful acrylic resin integrated sink top with plenty of counter and storage space, you get all the perks of a large vanity without it taking up the entire floor space of your bathroom. 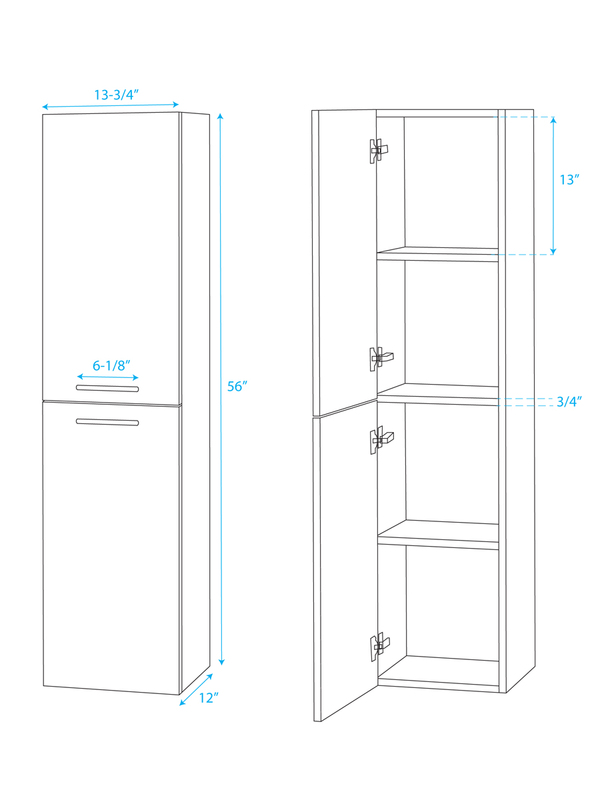 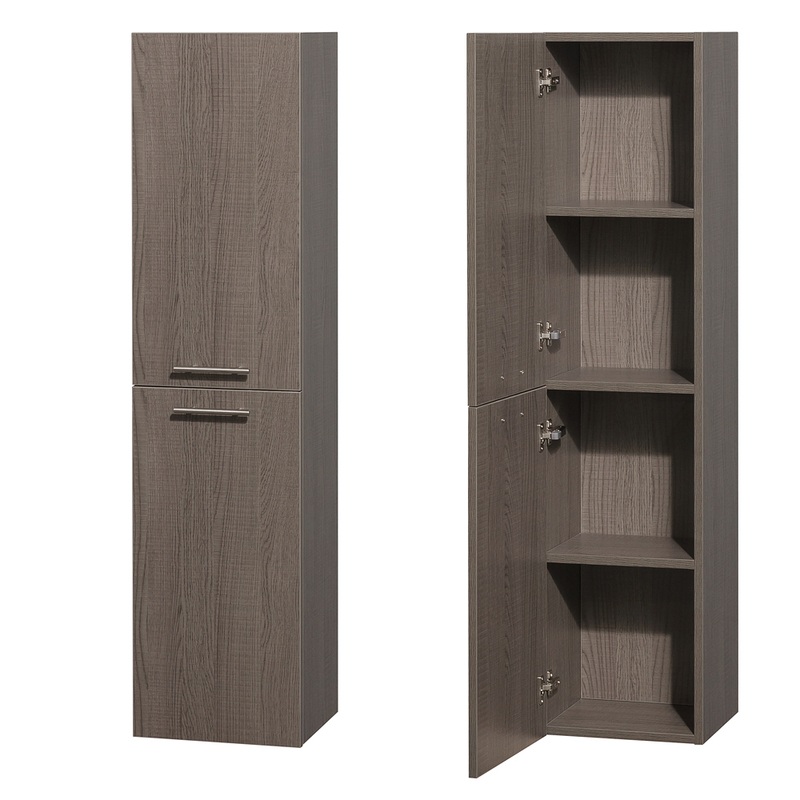 Four storage drawers and a double-door cabinet offers plenty of storage room, all accented with Brushed Chrome handles and equipped with soft-closing mechanisms.